New Office Building Solar Panel and Vegetative Roof - PRIME AE Group, Inc.
PRIME provided roof design consulting and observation services for the 14,000 SF roof which included both a main roof entirely covered with 10,200 SF of solar panels and a 3,800 SF vegetative roof area. The vegetative area is an accessible rooftop garden for the enjoyment of staff and guests. 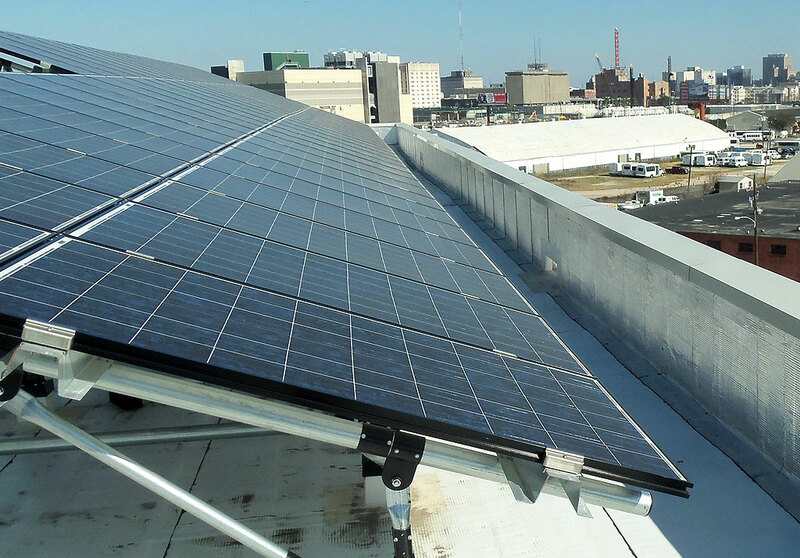 The project scope included roof design guidance, review and mark-up of construction document details, development of specifications, and on-site inspections during roof installation. A modified bitumen roof system with a variety of configurations, including metal deck, concrete deck, and semi-intensive vegetative roof assemblies, was chosen. 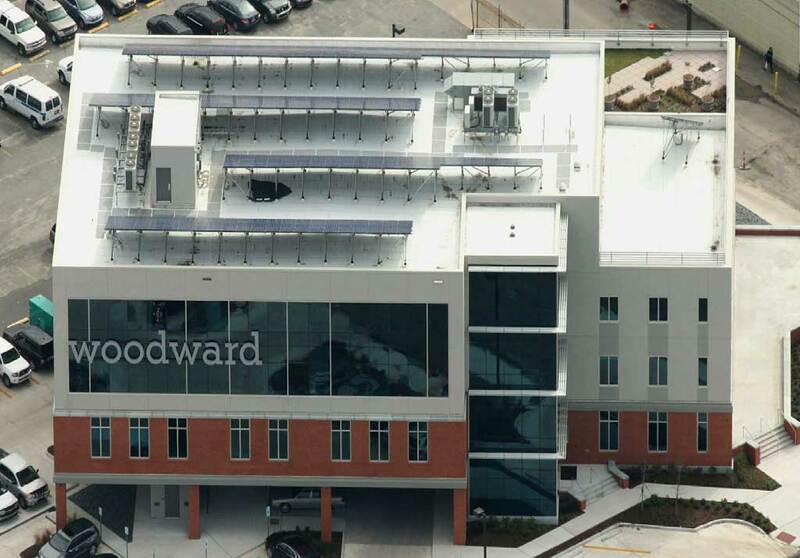 The new office building is designed to LEED® Gold standards.